With the wrapping barely off his fourth and latest studio release, an opportunity has arisen for UK fans to check out live the latest instalment in Erich Church’s quest to be a country music game changer. It may be a brave move to base the name of your record so explicitly on your mission and only time will tell whether the rules are being re-written. However there is no doubt that Church is at the top of his game both as a live performer and a recording artist. It didn't take many listens to appreciate the inner qualities of THE OUTSIDERS and the experience of seeing him live for the first time lived up to the hype generated from his one-off debut UK gig last year. You know the fiddle and steel is not going to make an appearance at an Eric Church gig, although the banjo appeared from time to time, but this show, at a packed mid-size venue, was far from a rock extravaganza. That is not saying there weren’t times when the guitar-laden six piece band didn’t truly rock the joint but just as THE OUTSIDERS isn’t defined by the ratcheted up sound, the more poignant moments possibly saw the best side of Church as a performer. There was no more definitive example of this theory than the evening’s golden moment with the stunning delivery of ‘A Man Who Was Gonna Die Young’ from the new record. An audience probably split with contrasting knowledge of his career work were highly appreciative of the moments when the band stepped back to give us more of an insight of Church the performer rather than just a band front man. There was certainly no brashness or arrogance about his on stage persona and at times he came across as a touch humble of the respect he was getting from a market probably still alien to him. The strength of the songs he has written, many with anthem-like qualities, is sufficient enough to bring them to life on the stage. In addition to my personal standout moment, ‘Drink In My Hand’, ‘Sinners Like Me’ and ‘That’s Damn Rock & Roll’ all had an enthralling feel to their live version, while the crowd gave most love to the interactive ‘These Boots’, ‘Homeboy’ and encore opener ‘Smoke A Little Smoke’. Let’s get the facts out first that ‘Springsteen’ is a classic song with sheer sustainability and it was highly likely that it would bring the evening to a close. Yet it was felt that its introduction could have been more dramatic to milk the anticipation and the live version was delivered at a faster pace than the recorded one I've listened to and enjoyed hundreds of times.Still the audience vociferously played their part on cue and the song’s lyrical structure continues to amaze me. This evening he chose to sample ‘I’m On Fire’ to celebrate The Boss mid-song and there’s no complaints about that. The hour and twenty five minute set, delivered rather too early in the evening due to the commercial desire of the venue to clear the place for whatever they put on for the remainder of the night, was packed full of songs from across his four albums and was virtually free of chat, which can though sometimes add value to a touring artist’s show. Also on this note, he chose not to deliver the emotive prelude to ‘Devil, Devil’ which was a pity as ‘Princess Of Darkness’ is an excellent piece of prose showing Church’s master depth of genre interpretation. ‘Talladega’, my favourite track from the new album, was one of the four numbers from this release omitted off the set list but on the plus side it was great to get a decent balance of material from the four albums to date. A new band to me, Cadillac Three, played a lively opening set with a raucous brand of Southern Rock that has been making waves with those who are a partial to venturing down this route of country music. They are certainly an acquired taste and from a personal angle would need further exploration to make a truly subjective comment on them. However this evening was all about the rise of Eric Church to the summit of the brand of country music which is under the jurisdiction of the Nashville majors. 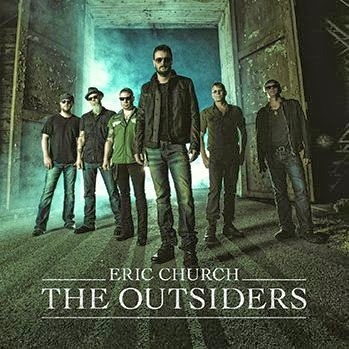 Country music has been guided and inspired by its outsiders for many decades and whether Eric Church joins the elite influential club remains to be seen. 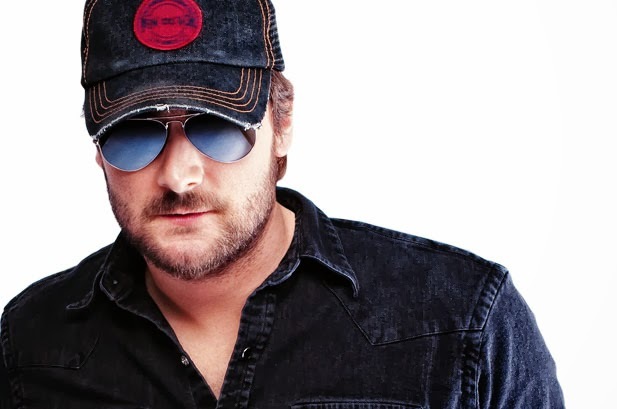 In the meantime the work-in-progress is highly promising and Eric Church has the gifts, craft and integrity to continue to set the agenda in steering the rock infused side of country music. His healthy UK fan base will continue to grow once word gets around and there was no doubt few complaints from this Manchester crowd. Set List: Creepin, Cold One, That’s Damn Rock n Roll, Sinners Like Me, I’m Getting Stoned, Drink in My Hand, Give Me Back My Hometown, Jack Daniels (sampled with Livin' Part Of Life), A Man Who Was Gonna Die Young, Dark Side, Devil Devil, Guys Like Me, Lotta Boot Left To Fill, Homeboy, These Boots, The Outsiders Encore: Smoke A Little Smoke, Like A Wrecking Ball, Springsteen (sampled with I’m On Fire).